Jims Heating Service LLC in Benton Harbor, MI is a heating service contractor. Who do you call when the temperatures in your home or office go out of control? Of course, in Benton Harbor, MI the only name that comes to mind is Jim's Heating Service, LLC. We Don’t Just Replace, We Repair! With more than 25 years of experience and reasonable rates, we have been taking care of all the HVAC needs of our residential and commercial clients in the Berrien County and Cass County areas. We do not just replace parts, we repair your equipment. 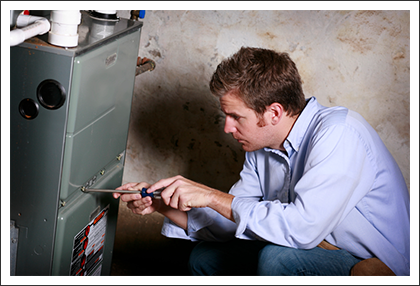 Whether you need to repair your high efficiency water heater, central air system or furnace, we can handle it all. We are fully licensed and insured for your protection. Give us a call today to receive fast and efficient emergency service. You will get $10 off your service charge for mentioning this ad. Copyright © 2013 Jim's Heating Service LLC. All rights reserved.